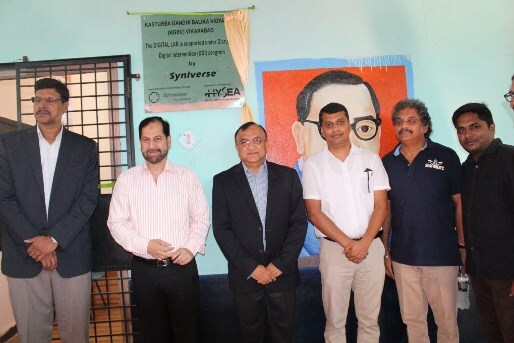 On June 20, the Employee Association of our office in Hyderabad, India, co-sponsored the opening of a digital innovation center at a local government school. The center includes new computers as well as new software and internet-based programs to support learning in a number of subject areas. Importantly, the new facility provides students and teachers alike with a valuable educational resource that will drive increased enrollment, attendance and engagement at the school. I arrive at the school to help officially open the new digital innovation center. What organizations did the activity support? In addition to the school, we supported the Nirmaan Organization and the Hyderabad Software Enterprises Association (HYSEA) through this event. Nirmaan is a nonprofit whose mission is to build a more inclusive society by supporting education and mentoring programs for children and women. The organization’s five areas of focus are on supporting local schools; developing scholarship and mentoring programs; coordinating youth employment initiatives; offering vocational training for women; and providing helpline services. With over 100 employees and more than 700 volunteers, Nirmaan works closely with local and state governments as well as private and public stakeholders, and since its founding 13 years ago, it has helped over 200,000 people in six states across India. HYSEA represents the software industry in Hyderabad and is involved in any activities that have an impact on the industry. The organization’s major initiatives include providing a platform for its 300-plus member companies to interact with the government and compete in the global market; working with the government to help shape industry-friendly policies; and promoting and encouraging its member companies through award programs. and the Hyderabad Software Enterprises Association. Thirteen employees from our Hyderabad took part in this effort, which was arranged by our office’s Employee Association. This is a part of Syniverse’s global organization whose chapters are responsible for leading charitable and extracurricular activities in communities where Syniverse offices are located. Each year, Syniverse Employee Association chapters around the world identify charitable organizations in their local areas, and then get the input of the office’s employees to select the charities that the office would like to support. Cutting the ribbon to open the new digital innovation center! 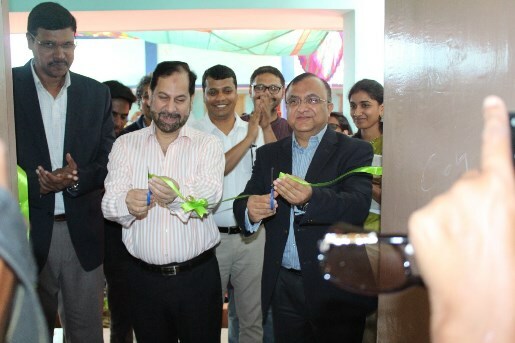 Our team donated funds and helped arrange the planning for an educational facility that will bring computers, internet access, and educational software programs to nearly 25,000 students in the next five years. 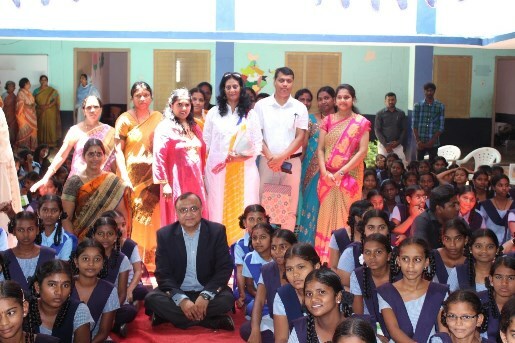 Specifically, our participation helped address three important challenges that many government schools in India face today: a lack of basic educational materials and equipment; a lack of exposure to computers and development of computer skills; and a lack of opportunities to learn and practice basic English. Joining students and teachers to celebrate the opening of the center. What was the single most rewarding part of this activity? 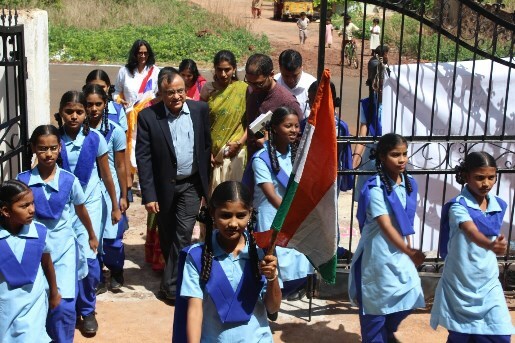 Witnessing the appreciation and enthusiasm of the students on opening day – which you can see in the pictures here in this post. This digital innovation center is just that – it is so much more than a simple computer lab. The computer equipment serves as the foundation for a school within a school, and one that will improve the students’ education, encourage their interest in learning, and open new doors in their future education and career development. It’s an honor for Syniverse to be able to help with this worthy effort. Proud initiative from team Hyderabad. Kudos!